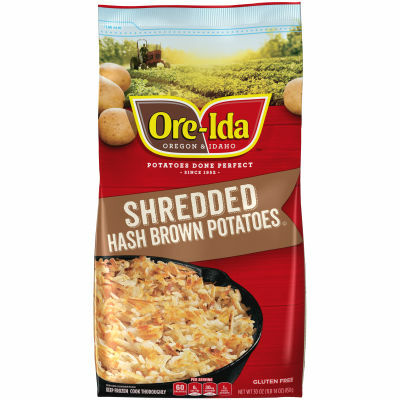 *Share the Great American Potato with Your Family: Proudly nestled on the Oregon-Idaho border, Ore-Ida potato experts have been serving locally grown taters from the heartland of potato country since 1952. All our crispy, gold, Grade A fries are made from 100% real, fresh peeled, American grown potatoes. We take great care to cut, season and freeze them in under an hour to lock in all the delicious, freshly cooked flavor. Your family deserves the highest quality because, if it's not Grade A, it's not Ore-Ida. ; Now comes out even crispier! Serving size 1 1/4 cup (85g).